A guide on how to clear the Djose Temple Cloister of Trials in Final Fantasy, including obtainable Aeons and treasures. Go inside the temple for a cutscene. When the cutscene ends, head to the left of the stairs to get an Ether. Enter the room on the right to get a Mega Phoenix. After collecting the items, go up the stairs to begin the trials. Inside the Cloister of Trials, get the two Djose Spheres from the slots on the left and right. Put them one-by-one into the door to open it. Go inside the door and take the Djose Spheres connected to the Yevon symbols. One is on the northwest wall and the other is on the northeast wall connected to the door. Insert them into the two empty slots in the east to power the pedestal on the ceiling. Take the pedestal that already has a Djose Sphere and push it until it aligns with the pedestal above. Once the sphere is charged, take it and put it into the north door’s empty slot to power and open it. 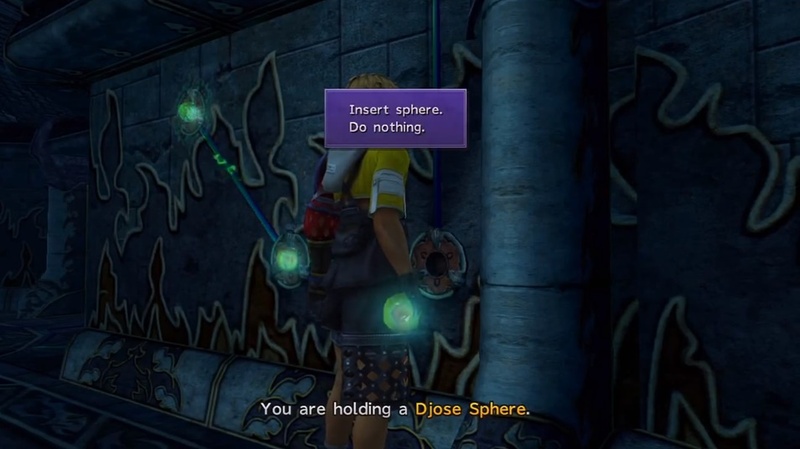 Before going inside, remove the two Djose Spheres from the wall you inserted them to power the pedestal on the ceiling and put them on the pedestal. Then, walk to the far left side of the room and step on the glowing glyph to reposition the pedestal into the middle again. From there, push the pedestal toward the next room and drop it into the gap with the lightning field. You can now use the pedestal to cross the gap to the other side. 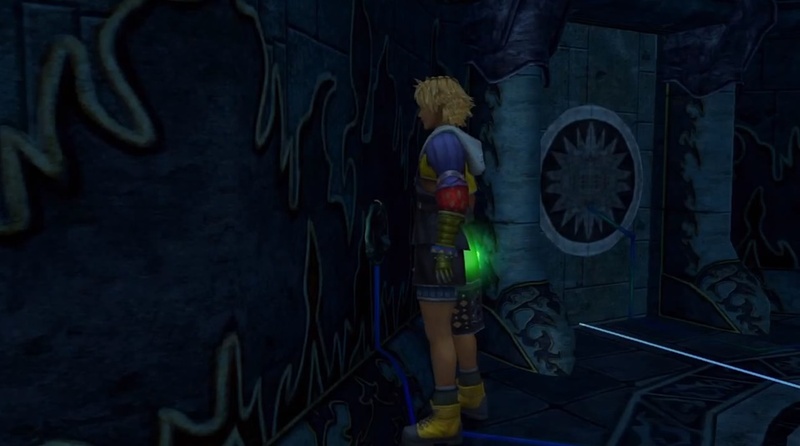 Afterward, push the pedestal on the other side into the wall to activate the Yevon symbol. 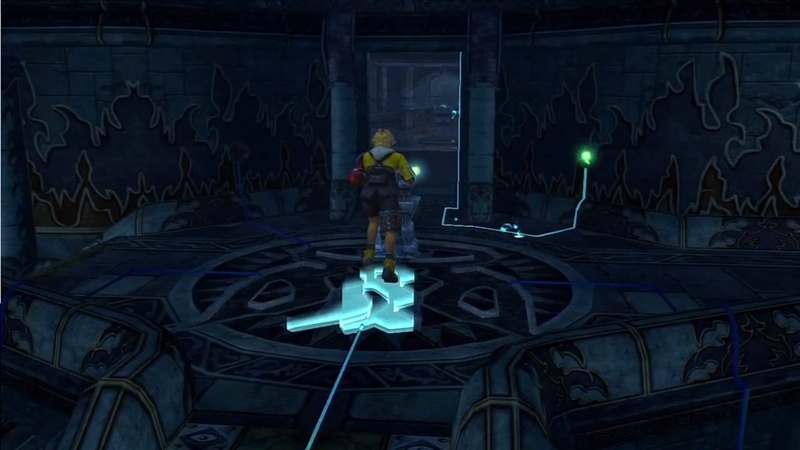 Next, head back to the previous room and step on the glowing glyph again to reposition the pedestal once more. Remove the two Djose Spheres and take them to the first room. Insert them into the slots on the side one-by-one to activate another Yevon symbol. Finally, remove the charged Djose Sphere powering the door to the lightning field room and insert it into the slot on the northwest wall. 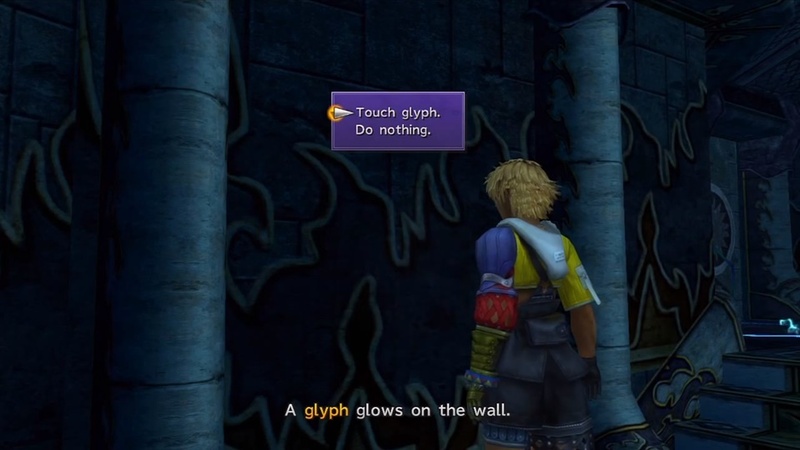 Afterward, head in the direction of the glowing glyph and search the wall for a glowing spot. Examine the glyph on the wall to get the Destruction Sphere before going up the lift that appeared in the center of the room. In the next area, enter the room in front of you. There will be five pedestals that you need to push into the wall to reveal yet another pedestal. 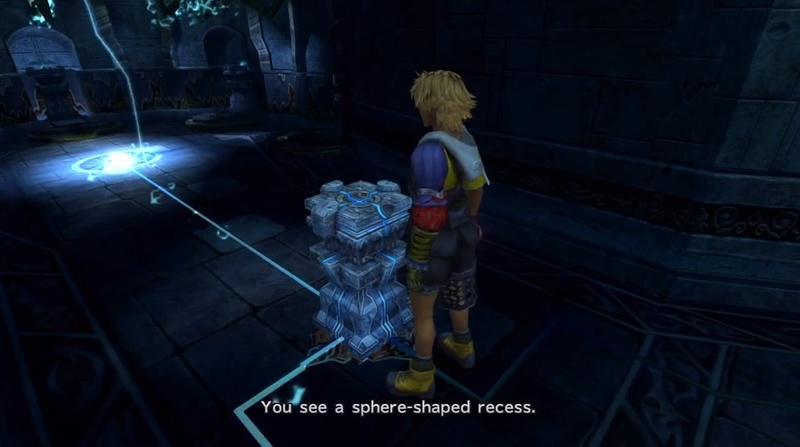 Put the Destruction Sphere on the pedestal to destroy a wall where you can obtain a Magic Sphere.